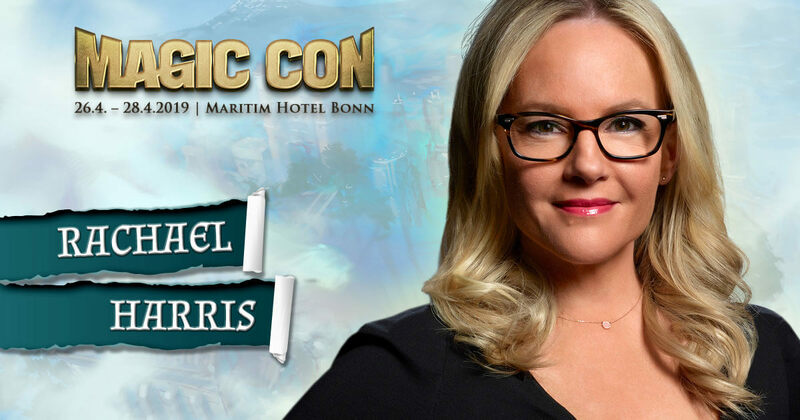 If we already have the devil in the flesh from the popular series Lucifer as a guest at MagicCon 3, his psychotherapist Dr. Linda Martin (portrayed by Rachael Harris) should be quickly available on site for all cases. The actress and comedian, who was born in the US state of Ohio, now completes the Lucifer star line-up at the Maritim Hotel Bonn and is looking forward to her series colleagues Tom Ellis, D. B. Woodside, Kevin Alejandro and Lesley-Ann Brandt. Rachael Harris holds a Bachelor of Fine Arts degree in Theatre. She gained her first stage experience in Los Angeles with the improvisation group “Groundlings”. In 1993 she celebrated her first TV appearance as Rose in the series seaQuest DSV, which was produced by Steven Spielberg. Two years later she made her screen debut in Banished Behind Bars. Her filmography – both on TV and in the cinema – has grown steadily in impressive form since then. The credits include appearances in well-known series such as Star Trek: Voyager, Friends, Desperate Housewifes or cinema productions such as Hangover or Night at the Museum: Secret of the Tomb . Her voice can be heard, for example, in the English original of the animated film Wreck-it Ralph from Disney. Autographs and Photosessions are not included in the entry ticket. Appearance of actors are subject to work commitment. Autograph sessions are usually held on Saturday and Sunday only. When purchasing photosession tickets online, please inform in advance when the respective photo sessions are scheduled for the respective guest (program is online about 8 weeks before the start of the convention). You are not able to join MagicCon, you are too busy or on vacation, but although you wanna get an autograph of your beloved actor? For that we invented our Send-in-Service. In our nerd shop - The Space Store - you can either order a standard autograph on a high-gloss photo, or you can send us your item (photo, poster, book, DVD, etc.) and we will have it signed by the star at the event.